Bet you thought we forgot. No, spring is here, spring practice is underway in many places and yes, there is/was a March podcast. This month we start looking forward at the 2019 Division III football season, chatting with Gagliardi Trophy winner Jackson Erdmann of St. John’s about what’s ahead for the Johnnies this season, the state of his throwing shoulder and how he’s spending his time now that he needs just one class to graduate. We’re also joined by William Paterson head football coach Dustin Johnson. A former Division III quarterback himself, Johnson is heading into his second year as the head coach of the Pioneers and talks about the challenges of turning around a program which hasn’t had a winning record since 1993. Plus Johnson played professional football, and talks about his experience and what guys have to do to get ready for playing football beyond college. Wrapping it up, Keith McMillan talks about the research he did this spring for an unexpected writing assignment: picking the preseason Top 25 and writing a preview for Street & Smith’s football preview magazine. Yep, they write the articles for those things in March. What can you learn about a team six months before the season starts? Keith has the rundown. 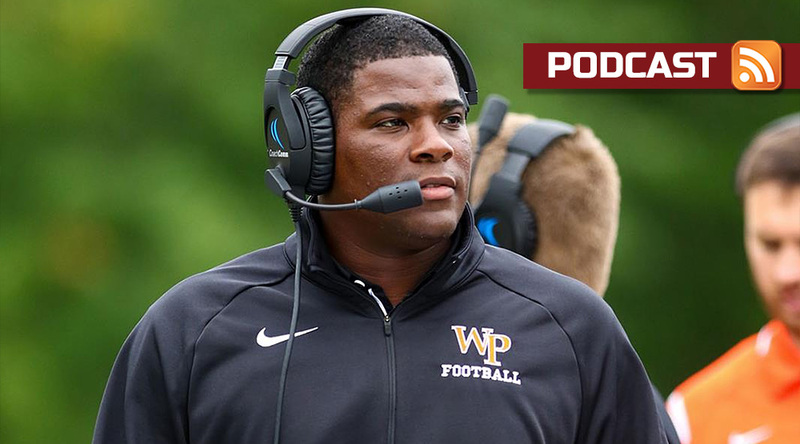 Pat and Keith talk about it all, as well as the latest coaching changes in the latest D3football.com Around the Nation Podcast. The D3football.com Around the Nation Podcast is a regular conversation between Pat Coleman and Keith McMillan and guests covering the wide range of Division III football. February is 10 percent shorter than most months, so we’re getting this month’s podcast just under the wire. So while it’s a short month, we still have a full-sized podcast. 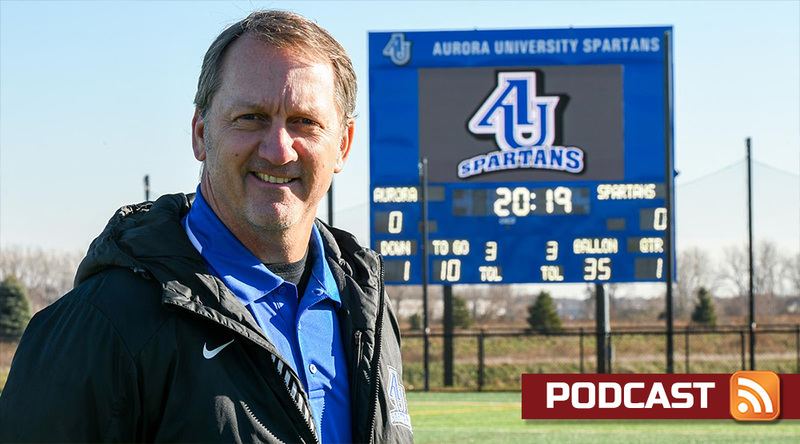 We’re joined this month by new Aurora coach Don Beebe, whom you might better know as a former NFL player, one who played in six Super Bowls and provided a quite memorable highlight in one of them. He talks about his new position, his first as a collegiate head coach, including how he watches film on recruits. We also have Colten Bartholomew on this month’s show. Bartholomew writes for the La Crosse Tribune, and broke a story last month that was quite fascinating, where he found that a former offensive coordinator at UW-Whitewater emailed his team’s playbook to a Division III football head coach, who then forwarded it to yet another D-III head coach. We get the details. Wrapping it up, we have a roundtable discussion about a proposal to change the regional breakdown in Division III football from the current and long-standing four regions to as many as six. Why is this necessary? What issues could it raise? We talk it through. We’re all still generally in the aftermath of the 2018 Division III football season, and we talk with three people who are in that realm as well. Our offseason podcasts typically include three long-form interviews, and we start with Greg Chimera, the interim head coach at Johns Hopkins. He played and coached for Jim Margraff, who died unexpectedly earlier in January at the age of 59, and he tells us what the program is going through and what he would want future Blue Jays to know about Margraff. We also chat with Jon Drach, who recently finished his first season as the head coach at Wilkes after a long career as an assistant at Hobart. Drach brought a lot of former Hobart people to Wilkes with him, and also brought Wilkes back from an 0-10 season in 2017 to a 5-5 mark, so we talk about that success and what might be next. Plus, we hear from former Mary Hardin-Baylor linebacker Tevin Jones, who was unable to play for the Cru this year because of an issue stemming from his mental health. He talks with Frank Rossi about the battle to get his life back together. 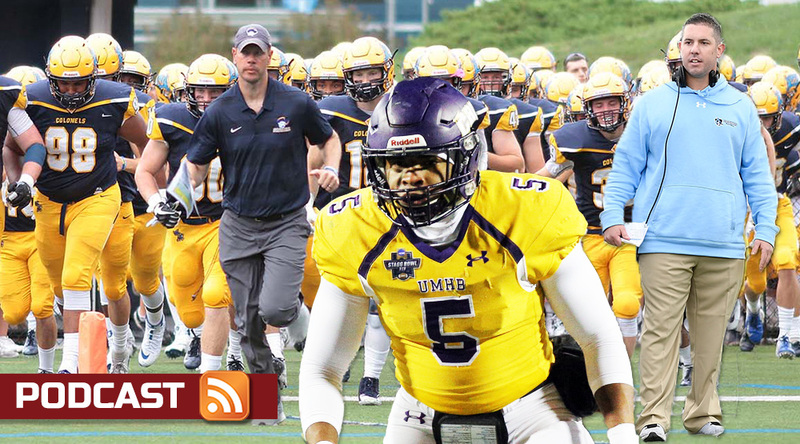 Pat and Keith talk about it all, as well as the latest coaching changes and a listener featured question in the latest D3football.com Around the Nation Podcast.